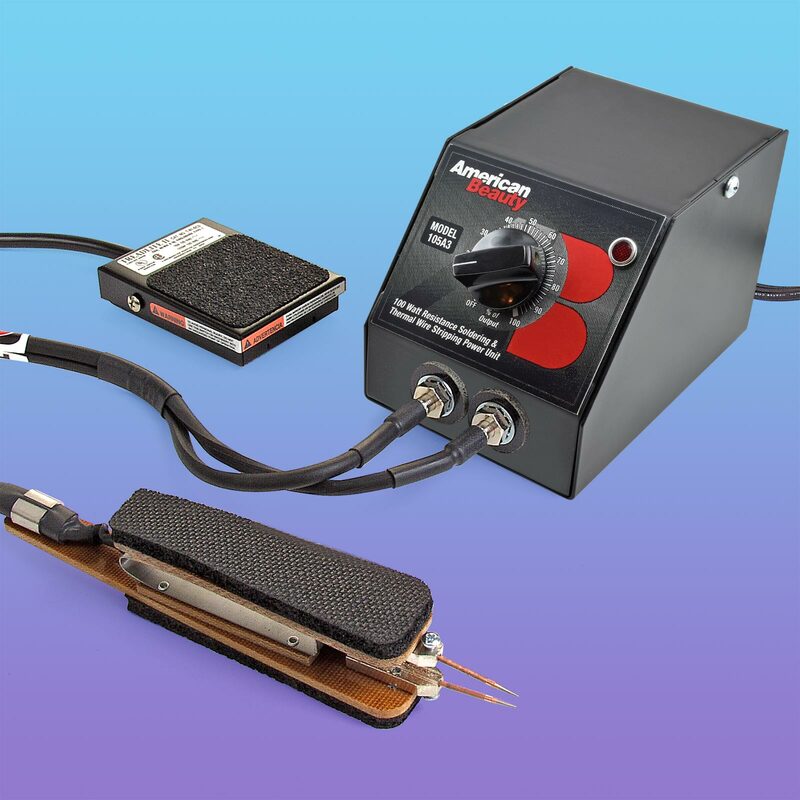 Complete Resistance Soldering Outfit includes 100W, 120v AC power supply, tweezer handpiece and foot switch. A 220v AC version is also available. See #80417B below.